Mulch is a protective cover placed over soil to retain moisture, reduce soil erosion, provide nutrients and suppress weed growth and seed germination. 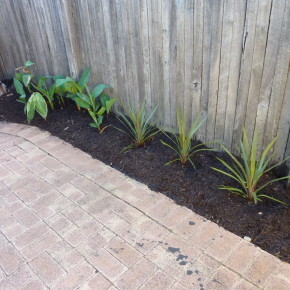 It is best to place a layer of mulch between 3 – 8cm in depth. Less is not as effective in preventing weeds and maintaining mositure and more can compact and prevent water penetration. Ensure that mulch is not placed too close to the stems of plants or over seedlings to prevent fungal diseases developing. Another great benefit for the garden when mulching is that it looks fantastic by providing a great contrast with your plants.